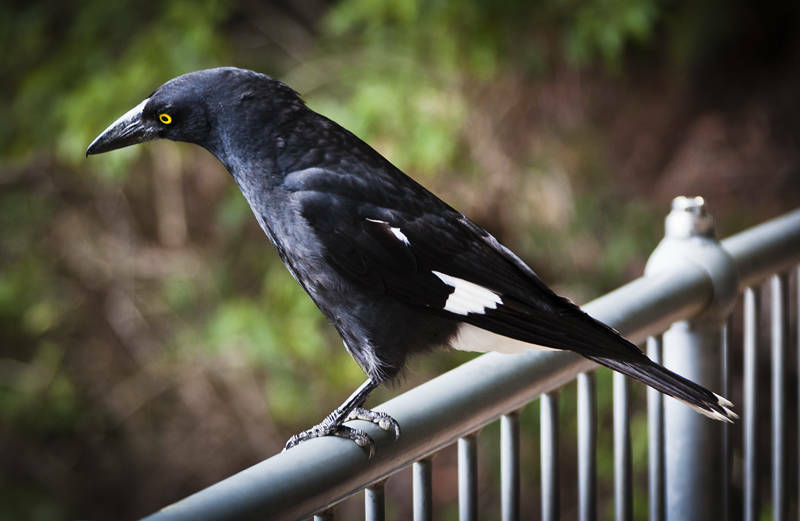 This is a Pied Currawong in the Springbrook national park on the Queensland New South Wales border. The bird is native to Australia and has been found as far south as Victoria. It is an omnivore which can feed on the wing but prefers to find its food in trees and gardens.